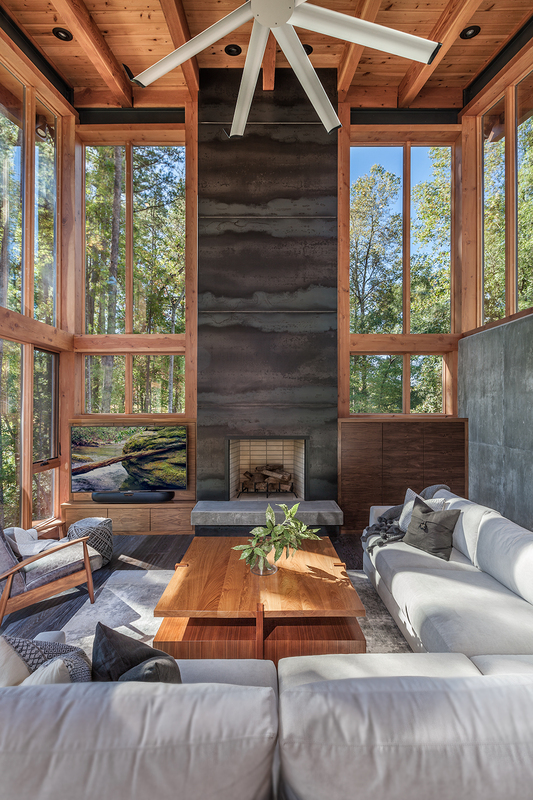 A contemporary home utilizing high quality custom Semco windows to bring in Lake Keowee views. Built by Ridgeline Construction. A beautiful contemporary home situated on bucolic Lake Keowee. With Semco Windows highlighting the views in every room of the home, they fill spaces with light and images of the lake, woods, and nature. The nighttime scene is only just as spectacular. Built by Ridgeline Construction, photos by Inspiro8 Studios.